Oh, and Wiz Khalifa, too. Do we have a quorum yet? 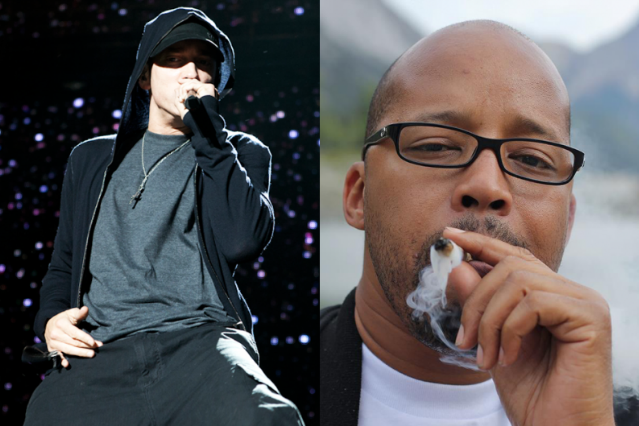 This afternoon, Warren G informed the world, via his website, that he would be gracing Coachella’s main stage with his good friend Snoop Dogg, who headlines the two Sunday nights (April 15 and 22) of the fest with Dr. Dre. Oh, and also that he’d be bringing Eminem with him. And Kendrick Lamar (who is already slated to play on the two Fridays of the fest, but is now supposedly coming onstage with the whole gang Sunday, thanks to his recent Dre team-up). Oh, also Wiz Khalifa, according to Rolling Stone. We’re sure Nate Dogg is stoked to hear about all this from the Eastside Motel in the sky. It should be noted that the Regulator didn’t mention whether he, Em, and the gang would be showing up for both weekends or just one, so fans will have to wait to be shocked. The one question that remains is, what surprise guests haven’t been announced yet? By the way, if you hadn’t heard yet, we hate to break the news, but you might want to bring your ponchos with you to Indio this year: it might get rainy.